Combining ideas from evolutionary algorithms, decomposition approaches and Pareto local search, this paper suggests a simple yet efficient memetic algorithm for combinatorial multiobjective optimization problems: MoMad. It decomposes a combinatorial multiobjective problem into a number of single objective optimization problems using an aggregation method. an external population PE for maintaining all the nondominated solutions found so far during the search. It is a natural extension of single objective local search methods –. PLS works with a set of mutually nondominated solutions. It explores some or all of the neighbors of these solutions to find new solutions for updating this set at each iteration. Several variants of PLS have been proposed and investigated on various problems. An MOP can be transformed into a single objective optimization problem by linearly or nonlinearly aggregating all the individual objectives f1;…; fM into one single objective. Under mild conditions, an optimal solution to this single objective problem is Pareto-optimal to (1). Thus, a single objective optimization method can be used for finding a set of Pareto optimal solutions by solving a set of such single objective problems with different weights . 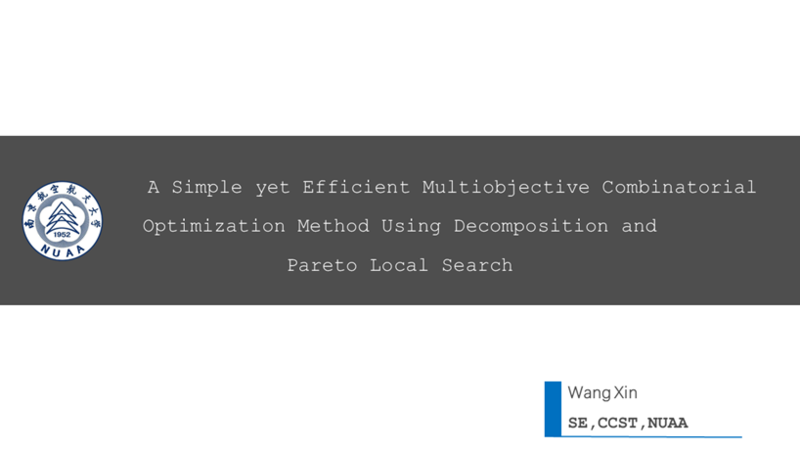 pOne of most successful and simplest hybrid multiobjec-tive heuristic frameworks is the two phase Pareto local search (2PPLS) . It combines PLS and aggregation. As its name suggests, 2PPLS consists of two phases. Phase 1 generates an approximation to the set of all the efficient supported solutions (their definition will be given in Section II) by solving a number of linear aggregation problems. Phase 2 applies a PLS to every solution generated in Phase 1 to find non-supported Pareto optimal solutions. 0.1 Initialization of PL: For each k =1; …;N, apply a single objective heuristic on subproblem k to generate solution xk.All these solutions form PL. 0.2 Initialization of PP and PE: Find all the nondominated solutions in PL and let them constitute PP . Initialize PE := PP . Step 1 : If a preset stopping condition is met, stop and return PE. Otherwise, go to Step 2. Step 2 :Pareto Local Search: Conduct Pareto local search on PP to update PL and PE. Then set PP =: ∅ (The details of PLS can be found in Subsection II-B). 3.1 Perturbation: apply a perturbation operator on xk in PL to generate ˜xk. 3.2 Local Search: apply a single objective local search for subproblem k on ˜xk to generate a new solution yk. 3.3 Updating PL: PL = Update1(x′; PL). 3.4 Updating PE: PE = Update2(x′; PE). in 3.4, PP = Update2(x′; PP ). In the existing two phase local search methods such as 2PPLS  and PD-PLS , each subproblem undergoes a single objective local search only once for generating one supported efficient solution. In contract, MoMad adopts an iterative fashion and applies a local search precedure to every subproblem many times with different starting solutions during the search. Therefore, with Pareto local search, MoMad can explore the neighborhoods of different locally optimal solutions to each subproblem. The motivation behind the use of iteration in MoMad is supported by the assumption illustrated in Fig. 1. In some other MOEA/D variants, a neighborhood relationship among all the subproblems is defined based on the distances among their weight vectors. 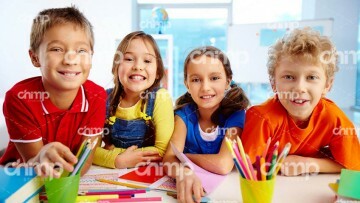 Correspondingly, a neighborhood relationship among all the current solutions can be established. These MOEA/D variants update a current solution mainly by offspring of its neighboring solutions. This is based on the assumption that two neighboring subproblems have similar optimal solutions.Although this assumption is often true in combinatorial multiobjective optimization,some exceptions can be observed For this reason, MoMAD does not employ the neighborhood concept, a new solution has a chance to replace any other current solutions in PL.